Perfect for Easter! 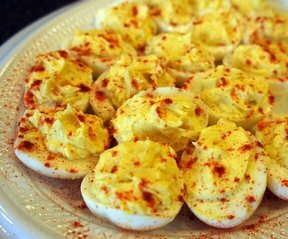 These deviled eggs are a beautiful centerpiece and delicious to eat. 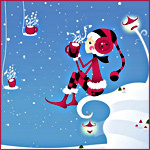 You could make them for any special occasion with the colors of the season. Peel the shell from the hard boiled eggs. Slice each egg in half. 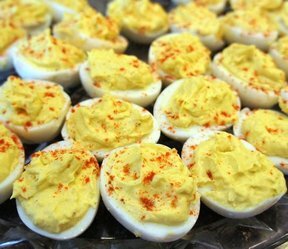 Remove the yolks from the egg halves and place in a bowl. Set the yolks aside. Fill 4 cups 2/3 full with cold water. Add 3 drops of desired food coloring along with 1 teaspoon vinegar to each cup. 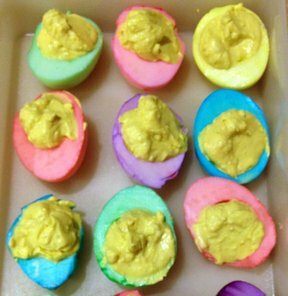 Place egg whites in the cups and allow to sit in the food coloring until desired color is reached. You can fit 3 egg whites in each of the cups at a time. Remove whites from dye and drain on a plate lined with paper towels. Mash the egg yolks with a fork until fine. Mix in the salad dressing. Season with salt and pepper, if desired. Spoon or pipe the yolk mixture into the colored egg whites. 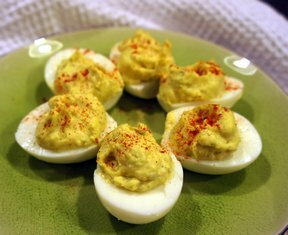 "I used this idea for dying my deviled eggs this year for Easter. I missed following one of the directions when dying the egg whites. I didn't cut the eggs in half and remove the yolks before coloring them. I realized it after I was done. But I think I like them even better the way they turned out. The outside was colored but the top edge and the insides were white. They were very colorful. This was a fun recipe."